For a long time, Tarapoto had nowhere to eat sushi, with the exception of one or two places that opened and closed within a few months. Now it has three (that I know of): Maki Town, Sashimi Sushi Bar, and Kiru Sushi. I’ve only been to Kiru Sushi so far, and I thought it was pretty good. 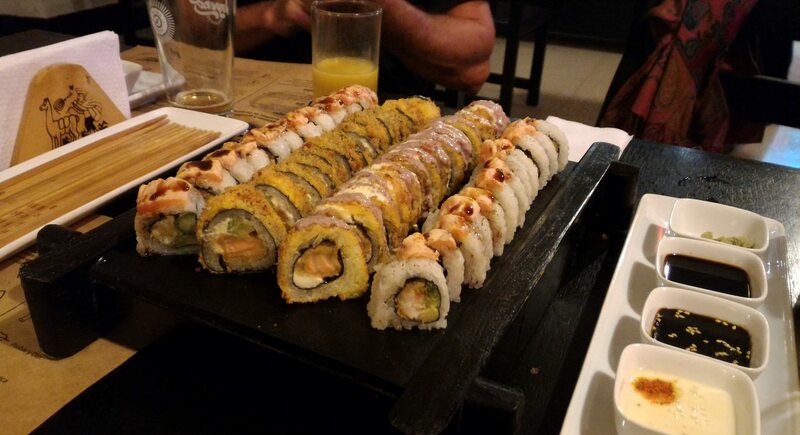 Admittedly, my expectations weren’t too high, considering it was sushi in Tarapoto, and I’m certainly no sushi connoisseur. But it was fun digging in to a sea of makis with a few friends, some sake and a bottle of craft beer (Imperio from Sullana in the Piura Region, which was interesting to try). We ordered one of the maki combos, which are available from between S/ 35 and S/ 170 for groups of between two and about five or six people, depending on how hungry you are. 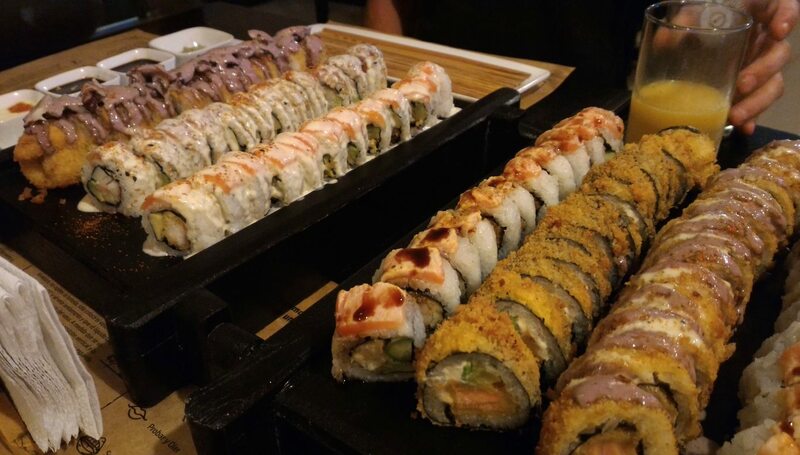 You can choose from about 30 different makis, ranging from crispy furai salmon to a variety of Peruvian fusion options, including some jungle specials. A few vegetarian options are also available. Other dishes include tataki tuna, various ceviches and tiraditos, chicken teriyaki, and shoyu ramen. I can’t comment on any of those, though, because we only had makis. And the makis were good. Again, I’m no expert on makis, but it was enjoyable and affordable, and a good option for a meal out with friends. We had to wait quite a long time for the food, but it was worth it. 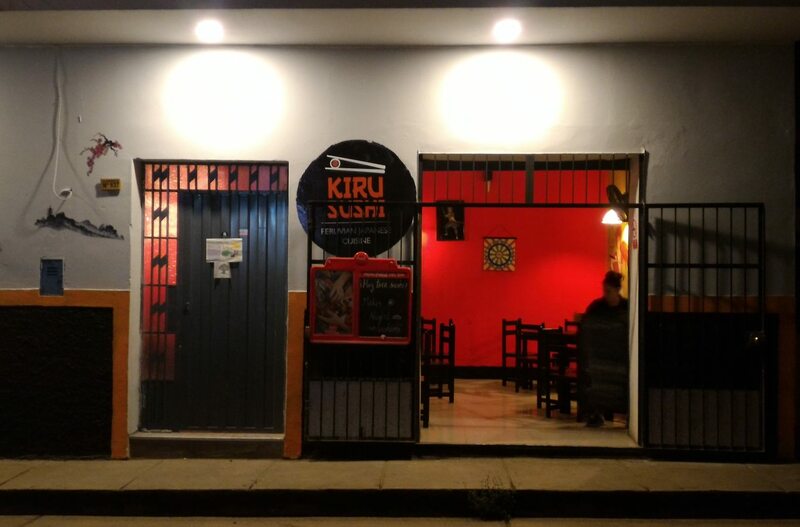 Makis at Kiru Sushi, Tarapoto. Photo by Tony Dunnell. More makis. Photo by Tony Dunnell. And even more makis. The crispy ones were my favorites. Photo by Tony Dunnell. 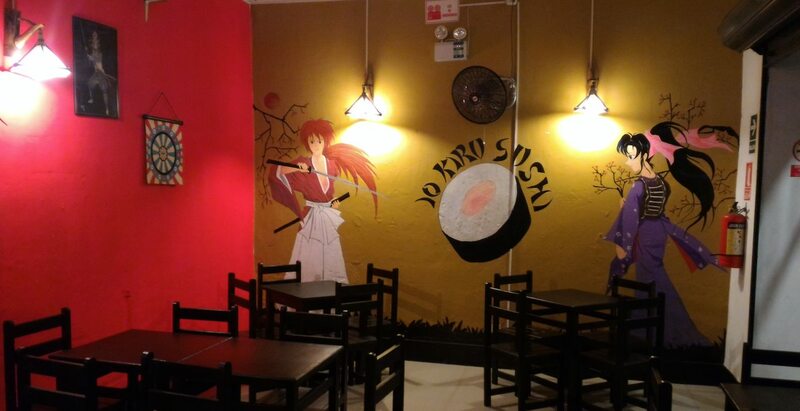 Kiru Sushi is a small place, but it has a nice vibe. Photo by Tony Dunnell. PreviousHow Can the Peruvian American Medical Society Help Tarapoto? So, what kind of fish do they have, exactly? 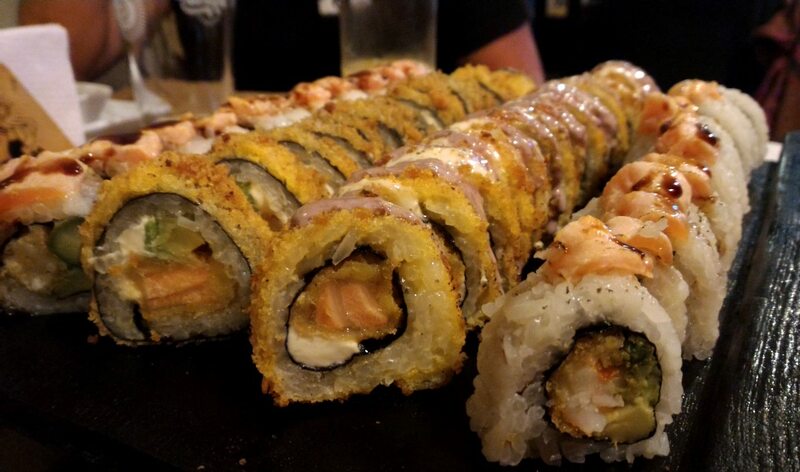 I’m not a huge fan of eating salmon sushi in Peru – it’s thawed, frozen fish you’ll be eating. The quality and kind of fish is very important to me. I refuse to eat the trash fish that people use for a lot of ceviche. No idea to be honest. Tasted fine though. Most of the fish/seafood makis were shrimp, tuna or salmon. There were a couple of ceviche-style makis, which just said they contained pescado al panko, and I didn’t think of asking what kind of fish it was (not sure we ordered one, actually). I would have asked if I was ordering ceviche, but would rather go to a cevicheria for that.